Our aim is to work as close to the land as possible in the way we rear our sheep and produce our textiles to have as little environmental impact as we can, producing the best quality textiles for you to enjoy. Using good design and high quality fleece we make yarn and textiles that will last you for years to come when cared for. We produce our sheep as close to organic standards as is possible using natural remedies and with minimal intervention only when necessary. 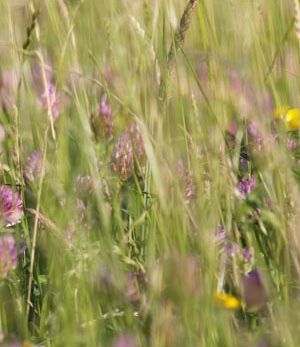 They graze on bio-diverse meadows of species rich grasses and flowers. Our flock is supplemented with herbs, omegas, seaweed meal, minerals and garlic. The colour of our products is all natural and un-dyed and comes from the purity of our breed. The silver grey fleece is an additional gift which appears sporadically from years of careful breeding. We work closely with the British Wool Marketing Board and other like minded breeders to promote the future of British wool and rare breeds. We source everything locally where possible and support the surrounding community using skilled self-employed crafts men and women to process our wool and meat. The “Sheep to Shawl” project was awarded National Lottery “Awards for All Funding” for teaching heritage skills and for providing equipment and support for voluntary craft education in 2009/10. We still continue in a small unofficial way.